Panashe Chigumadzi, author of These Bones Will Rise Again, the first book to respond to the ‘coup-that-was-not-a-coup’ of Robert Mugabe in November 2017, has written an essay for leading African culture and literature blog, Africa is Not a Country. Read the full essay on Africa is Not a Country . . .
Panashe’s essay followed on from appearances at Berlin’s African Book Festival last Friday, and on German TV to discuss the festival and her work, last Friday. The Indigo Press author Sulaiman Addonia launched The Asmara-Addis Literary Festival ‘In Exile’ that ‘reflects and celebrates our societies not as censored but as they exist in reality’. Taking place at Bozar, Brussels, the festival featured Maaza Mengiste, Minna Salami, Amina Jama, Rachida Lamrabet, Chike Frankie Edozien, Vanessa Tsehaye, Meron Estefanos, Hazel Thomas, Soheila Mehri, Ubah Cristina Ali Farah, Desta Haile, Astrid Haerens, Madeleine Kennedy-Macfoy, and Saleh Addonia, as well as The Indigo Press Publishing Director, Ellah Wakatama Allfrey. The festival was split into two parts. The first, THE SHAPES OF LOVE, brought together writers, poets and activists that show resistance through love, literature, and the act of creating beauty, demonstrating solidarity with writers and journalists imprisoned in Eritrea and the LGBTQI community who are facing harsh discriminatory policies. The second part, I CREATE #IAmNotAMuse, was a panel celebrating five African feminists from five corners of Africa who are reshaping literature at home and abroad. The focus here was on the creator, and showcased how these pioneering women are moving the literary world of Africa and beyond forward with bold, innovative ideas. 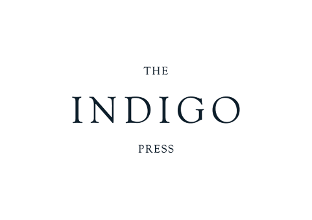 The Indigo Press were featured in an article in trade magazine The Bookseller earlier this month, who ran an in-depth interview with Publishing Director Ellah Wakatama Allfrey. The Bookseller also announced the exciting list of authors acquired for 2019, including Ahmad Danny Ramadan’s The Clothesline Swing, Parker Bilal’s The Divinities, Richard Seymour’s The Twittering Machine and Lucia Osborne-Crowley’s I Choose Elena. The Indigo Press are excited to announce two new titles acquired by Publishing Director Ellah Wakatama Allfrey. Wonder Valley is a noir literary thriller from genre-crossing author Ivy Pochoda, whose previous titles include The Art of Disappearing and Visitation Street, an Amazon Best Book of 2013. Wonder Valley has been received to critical acclaim in the US, where it was named among the best books of 2017 by The Los Angeles Times and NPR and was described as “destined to be a classic L.A. novel” by Michael Connelly. It will be published in the UK on 20th September 2018. Set across the sun-bleached canvas of Los Angeles, Wonder Valley follows a cast of six misfits who narrate the book. There’s Ren, just out of juvie, who travels to LA in search of his mother. There’s Owen and James, teenage twins who live in a desert commune, where their father, a self-proclaimed healer, holds sway over his band of disciples. There’s Britt, who shows up at the commune harbouring a dark secret. There’s Tony, a bored and unhappy lawyer. And there’s Blake, a drifter hiding in the desert, doing his best to fight off his most violent instincts. Their lives will all intertwine and come crashing together in a shocking way, one that could only happen in this enchanting, dangerous city. Sulaiman Addonia’s Silence is My Mother Tongue is a searing novel about migration, sacrifice and the powerful bonds forged in the crucible of life in a refugee camp. This is the second book by Addonia, whose first novel The Consequences of Love was shortlisted for the Commonwealth Writers’ Prize and translated into more than 20 languages. Silence is My Mother Tongue will be published on 4th October 2018. Saba, the novel’s heroine, arrives in an East African refugee camp as a young girl. In this crowded and often hostile place, she must carve out her new existence. As she struggles to maintain her sense of self, Saba remains fiercely protective of her mute brother Hagos – each sibling resisting the role gender and society assigns. Silence is My Mother Tongue is an extraordinary portrait of a woman of courage and intelligence and a compelling story of exile, survival, and love. Sulaiman S.M.Y. Addonia questions what it means to be a man, to be a woman, to be an individual when circumstance has forced the loss of all that makes a home and the possibility of a future. This is a book about love in a time of conflict, incisively dissecting society’s ability to wage war on its own women and exploring the stories we must tell and absorb to survive, cementing Addonia as a gifted literary talent whose stories reach across enforced borders towards the universal conflicts of the human heart. Our Publishing Director Ellah Wakatama Allfrey was on BBC Radio 3's Free Thinking and BBC Radio 4's Open Book this week, talking about the process of abridging Chinua Achebe's magnum opus Things Fall Apart for The Southbank Centre's Special 60th Anniversary Reading event, taking place thisSunday at 14.00.